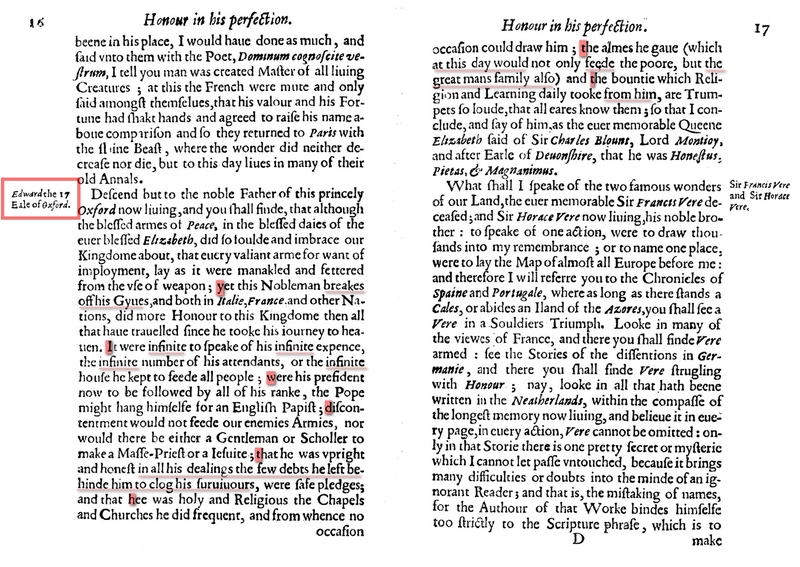 (179) Edward de Vere, Oxfordians and the fatal 1604 problem! The world may never ever be convinced ? ● Why language parameters (e.g.→enjambements) of Shakespeare’s plays exhibited a highly significant development,i.e. increase over the years, not ending 1604, adding considerable support to the orthodox datings of Shakespeare plays being substantially correct. (s.also →Peter Farey)? ● why Edward de Vere started printing his play only in his late-forties? ● why 2 decades after the Earl's death (1604) elapsed until the majority of the plays of Edward de Vere (alias Shakespeare) did appear in print 1623 and Shaxsperes Monument was erected ?